With spring just around the corner, it is time to bring some lighter garments out of our closets. 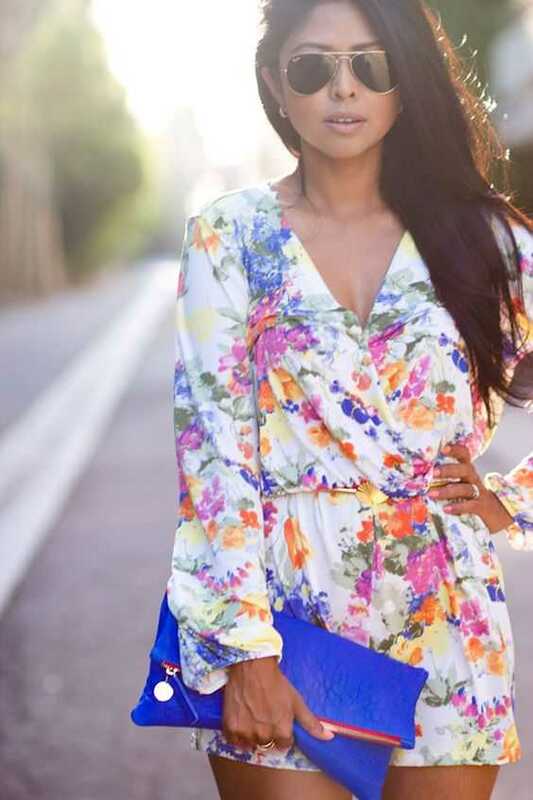 If you are all about flowy fabrics, rompers are definitely your thing. They are pretty similar to jumpsuits, but can be classified as more informal. They make a perfect alternative to lighter dresses and are overall on the casual side. Here are 10 ways to wear rompers this spring. Sure, rompers come in various shapes and patterns. While most of the monochromatic looks require some accessories at least to freshen up the look, this does not go for patterned rompers. If you opt for one with a vivid floral pattern, or just any colorful model, you should not overwhelm it with tons of jewelry. A simple matching clutch would do instead to top your look.